Norway’s NBT has enough potential to build an additional 700-800 MW of wind power capacities in Ukraine, the Office of the National Investment Council of Ukraine has reported, referring to NBT CEO Joar Viken speaking at a meeting of the National Investment Council of Ukraine in Davos (Switzerland). 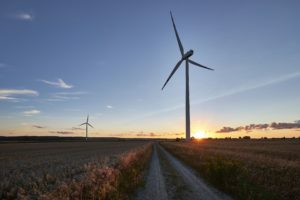 “The 250 MW Syvash wind farm is just the start of our plans to invest a considerable amount of capital in our large pipeline of wind projects in Ukraine over the next two to three years,” the Office said in a press release, citing Viken. Viken said that NBT plans to build a new wind farm in Ukraine. Preliminarily it is planned to start the project in Zaporizhia region in the coming six or nine months. 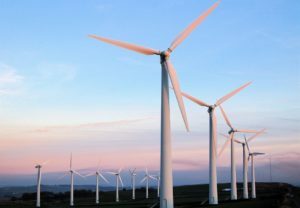 The company said that now it is evaluating engineering, procurement and construction (EPC) contractors and suppliers of wind turbines, which will be involved in the project. Viken said that success of the Syvash project thanks to the attraction of international project financing would be interesting for other private commercial investors and international financial institutions (IFIs). “In addition, we foresee potential interest for ‘green bonds’ to financing NBT’s pipeline of new wind projects in Ukraine,” Viken said. As reported, at a meeting of the National Investment Council in Davos an agreement was signed between the Norwegian company NBT, the French company Total-Eren and the European Bank for Reconstruction and Development (EBRD) regarding the Syvash Wind Farm Project with a financing of EUR 260 million raised. Over EUR 350 million will be invested in the project. The project will be financed in the amount of EUR 150 million by the European Bank for Reconstruction and Development together with a consortium of banks, Head of the Office of the National Investment Council Yuliya Kovaliv said. According to the framework agreement, the Syvash Project is planned to be financed by a syndicate of eight foreign lenders, including the EBRD and the Nordic Environment Finance Corporation (NEFCO). At the next stages of the project, additional financing from foreign funds specializing in similar energy projects is also expected. According to the release, the funds were raised with the assistance of the U.S. investment bank J.P.Morgan, which acted as financial advisor to NBT. The Ukrainian legal adviser to NBT is Integrites, and the advisory assistance was also provided by the Natsinvestset office. “In Ukraine, the real boom of alternative energy continues. In 2018, three times more capacity was launched than in the entire period of 2017 – more than 800 MW,” Kovaliv said.